Michael Wiese Productions, 9781615931309, 244pp. Dan O'Bannon famously crafted his screenplays using a self-designed system which he called "dynamic structure." 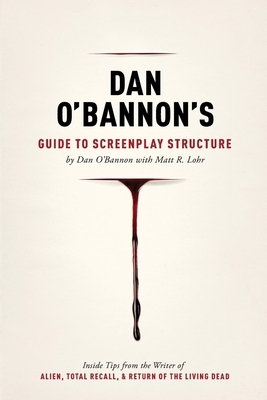 This book outlines how O'Bannon's method differs from those of other well-known screenwriting gurus, and illustrates with examples from classic (and not-so-classic) films how dynamic structure can be applied to craft narrative and character. O'Bannon also includes his insights on subjects such as the logic of the three-act structure, the role of the producer in screenplay development, and the psychological principle known as "hedonic adaptation," which has a unique effect on the structuring of screen stories. Dan O'Bannon was an acclaimed screenwriter whose eleven feature writing credits include the international blockbusters Alien and Total Recall, as well as Return of the Living Dead, which he also directed. Matt R. Lohr is an award-winning screenwriter, essayist, and critic. His views on contemporary and classic cinema can be found on his blog, "The Movie Zombie." He lives in Los Angeles.